Northrop Grumman has begun flight testing of US Navy’s first developmental multifunction active sensor (MFAS) radar, the primary sensor on the Navy’s MQ-4C Broad Area Maritime Surveillance Unmanned Aircraft System (BAMS UAS) at Palmdale, California, US. 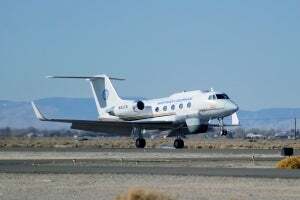 The radar has been mounted onboard a Gulfstream II test-bed aircraft based in Palmdale, California, US for the flight test. Flight testing will take place in three phases that include radar integration, mode integration and refinement, and data collection over the next several months wherein each phase will validate the radar’s capabilities and modes to provide a persistent common picture of maritime surface traffic. Unmanned Systems general manager and sector vice president Duke Dufresne said that the BAMS UAS is providing affordable, combat-proven high altitude, long endurance intelligence, and surveillance and reconnaissance solutions for the Navy and other customers. Surveillance Systems vice president Paul Kalafos said MFAS sensor provides 360-degree persistent coverage of both open oceans and littoral regions from extremely long ranges and will set the standard in maritime surveillance. The MQ-4C BAMS UAS is the naval version of the US Air Force’s RQ-4 Global Hawk aircraft and is designed to support various Navy’ missions when operating independently or in collaboration with fleet assets. In November 2011, the radar successfully completed ground station testing at the company’s Electronics Systems facility in Norwalk, Connecticut, US. Northrop had also installed landing gear and wings on the airframe of the first MQ-4C BAM UAS at the company’s facility in California, US. The navy is planning to procure MQ-4Cs, including five test aircraft, worth nearly $12bn while the first MQ-4C aircraft is scheduled to be operational in 2015. Image: The first Multi-Function Active Sensor (MFAS) is mounted in the belly fairing just ahead of Northrop’s G-II test bed aircraft wing. Photo: Northrop Grumman.